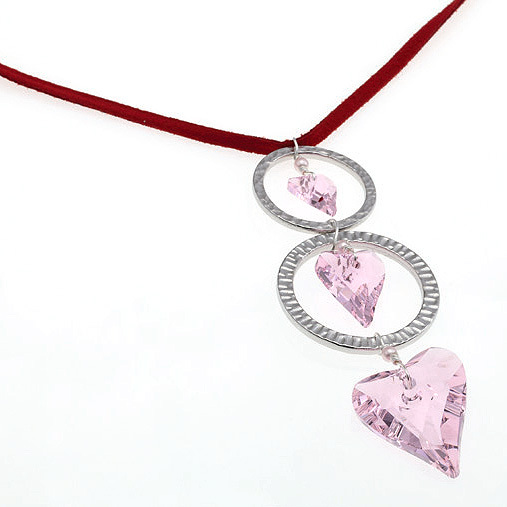 These mini Swarovski Valentine’s Day Projects have been produced by their Create-Your-Style Team to show you some easy design ideas and handy tips to create pretty earrings and necklace pendants using the Classic Heart Pendants and the Wild Heart Pendants. These classic pendants make beautiful earrings or a pendant. You can easily make your own wire loop to go through the hole of these chunky pendants. 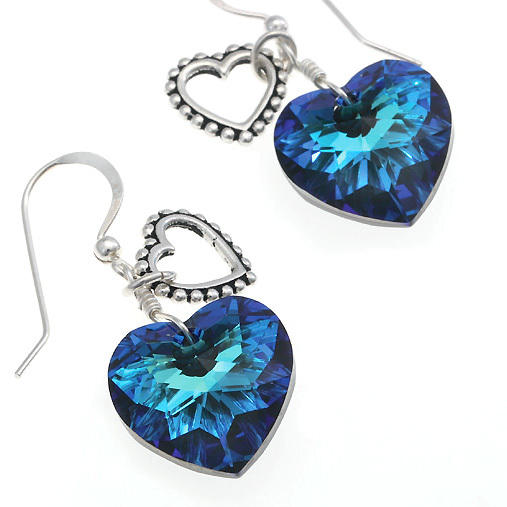 These stunning 18mm classic heart pendants make a gorgeous pair of earrings, shown here in Bermuda blue. 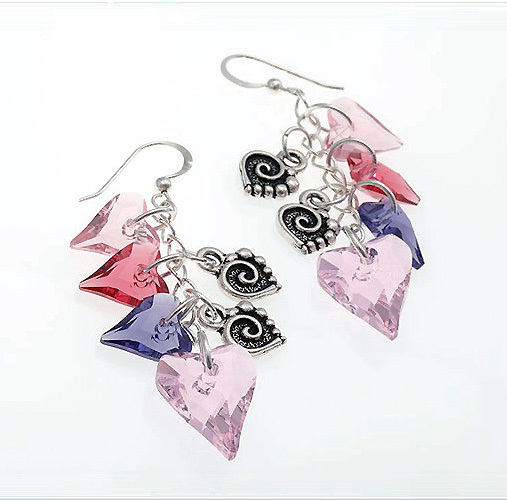 Just add a small heart charm for added interest. The Wild Heart pendants are a beautiful shape and come in 12mm, 17mm, 27mm and 37mm sizes and a good range of colours, giving lots of creative opportunities. 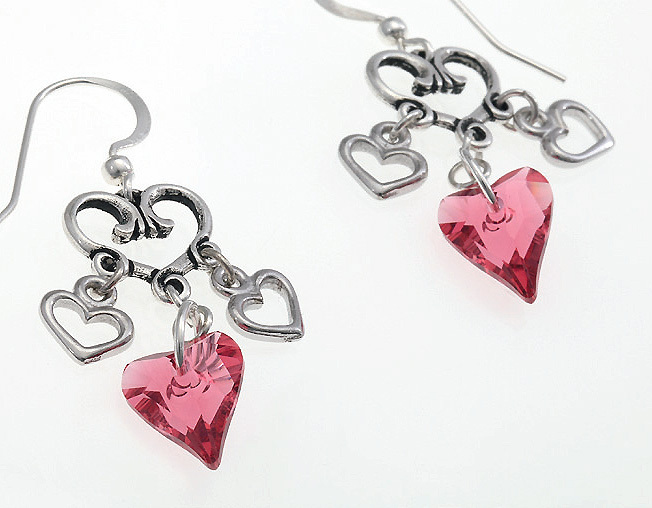 This easy idea just suspends 12mm wild hearts from a heart connector to create a glamorous look. 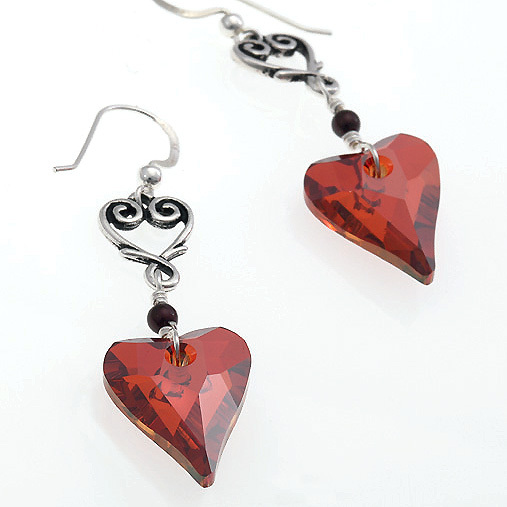 The 17mm hearts in red magma are used to stunning effect. 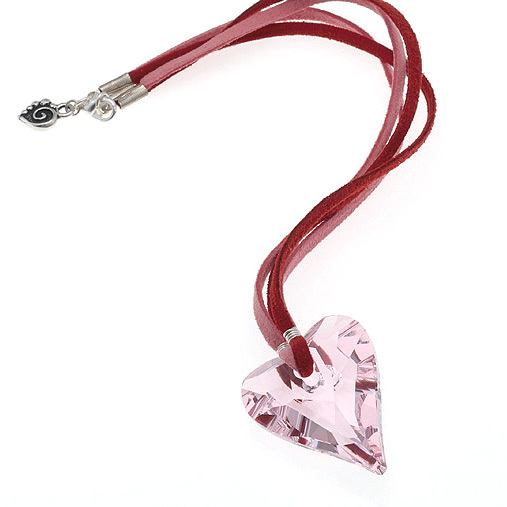 If you love dangly charms, just use a connector with several holes for adding charms or beads to the 12mm wild heart. If more is more, try adding 12mm Swarovski hearts and charms to the links of a length of chain, finishing with a 17mm Swarovsk heart. 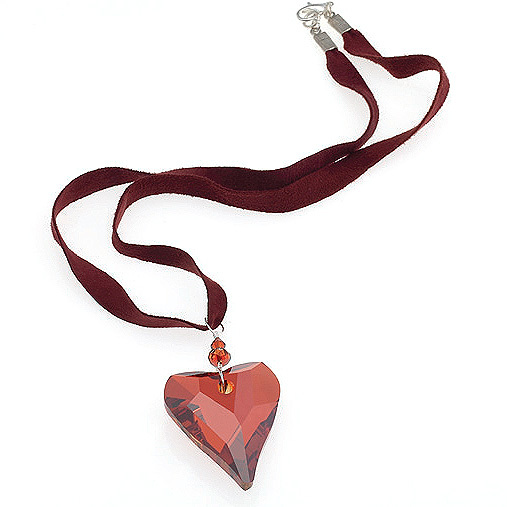 The 37mm red magma pendant creates a very striking, elegant piece of jewellery when hung from ribbon on a wire loop. Two pieces of narrow faux sued are strung through the 37mm heart and then wrapped with wire to hold the heart securely. Finally, this eye-catching necklace uses 12mm, 17mm and 27mm hearts.